Train, flight, bus tickets - discover exciting Poland with us! Are you going to travel by train or regular bus lines in Poland and Central Europe ? The best solution to do that is ticket booking - especially in Spring and Summer time, where all tickets should be booked and purchased in advance to avoid problems and delays during your tour. That's why don't hesitate to contact us with your requests. 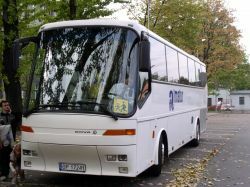 We have available on line all Polish trains and regular bus line schedules. Any available ticket may be confirmed and purchased for you in advance by our staff and next delivered to any place you wish by post or our representatives. We can also book for you any flight ticket or provide our special service – air taxi charter. This offer is directed to small groups, up to 7 persons looking for fast and comfortable air transfer in Europe. Planes coverage area is up to 3500 km what means whole Europe territory with starting point in Warsaw.